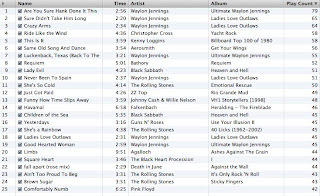 Incisional Orchestrations: Top 25 most played iTunes songs. I think I'm finally getting inspired by metal again after a obvious long break. (See above.) I've been digging up all my old Godflesh, Bathory, and of course Morbid Angel. New stuff I've found quite appealing: Blood of the Black Owl, Geistus, Verivala, and Forgotten Tomb.